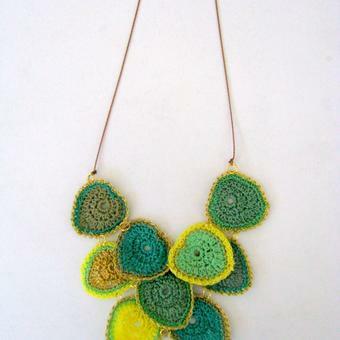 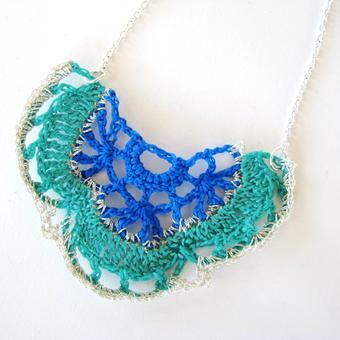 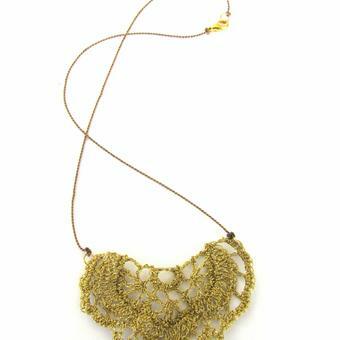 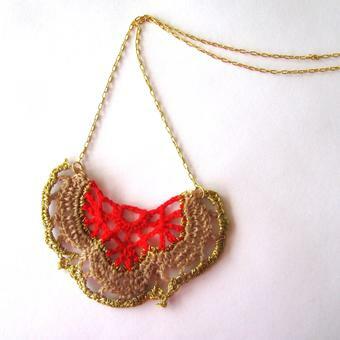 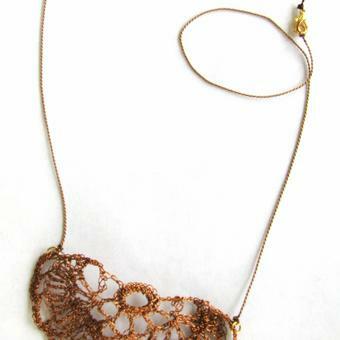 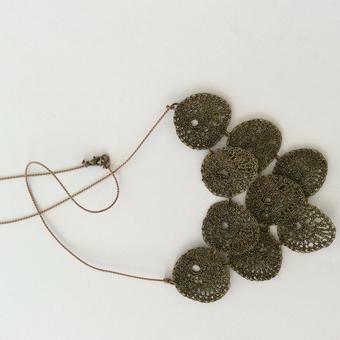 like the earrings, necklaces are hand crocheted from unusual motifs sourced from irish crochet tradition. 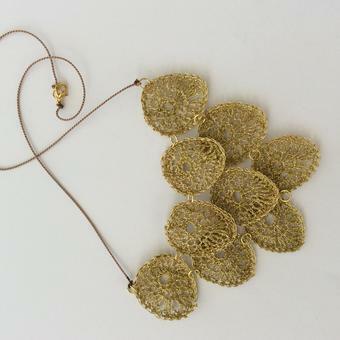 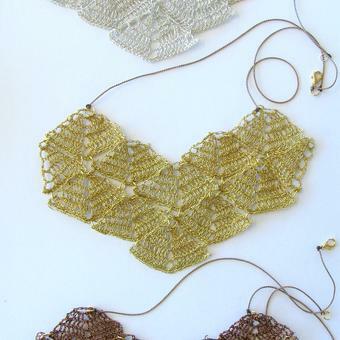 many of the necklaces are constructed from motifs joined together in to larger shapes. 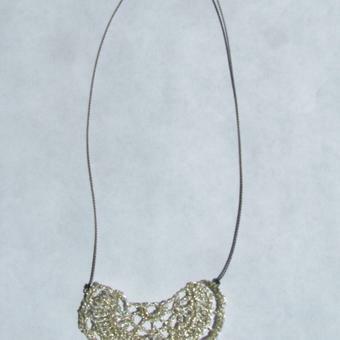 All are made out of fine metallic threads, or mercerised cotton, or a combination of both.